Q1. ___________ is a computerized machine that provides the customers of banks the facility of accessing their account for dispensing cash and to carry out other financial & non-financial transactions without the need to actually visit their bank branch. Sol. Automated Teller Machine (ATM) is a computerized machine that provides the customers of banks the facility of accessing their account for dispensing cash and to carry out other financial & non-financial transactions without the need to actually visit their bank branch. Sol. Personal Identification Number (PIN) is the numeric password which is separately mailed/handed over to the customer by the bank while issuing the card. Most banks require the customers to change the PIN on the first use. Customer should not disclose PIN to anybody, including to bank officials. Customers should change the PIN at regular intervals. Q3. What is the meaning of "T" in ATM? Sol. ATM stands for- Automated Teller Machine. Q4. What are White Label ATMs (WLAs)? Sol. All of the given options are properties of White Label ATMs (WLAs) except Owned and operated by PSBs. Sol. The loan-to-value (LTV) ratio is a financial term used by lenders to express the ratio of a loan to the value of an asset purchased. Sol. 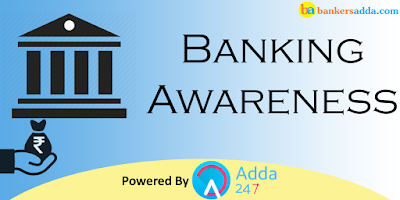 As per Section 5(b) of the Banking Regulation Act, 1949 , “banking” means the accepting, for the purpose of lending or investment, of deposits of money from the public, repayable on demand or otherwise, and withdraw-able by cheque, draft, order or otherwise.